Easy-grip handle cup with removable sippy cap lid suitable for toddlers. 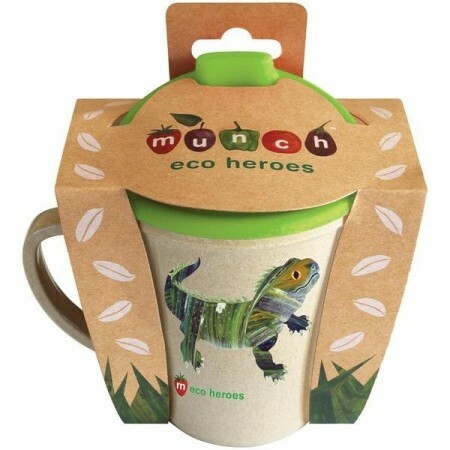 Cup is made from rice husk and is biodegradable, dishwasher safe, BPA free and durable. Green lizard design. 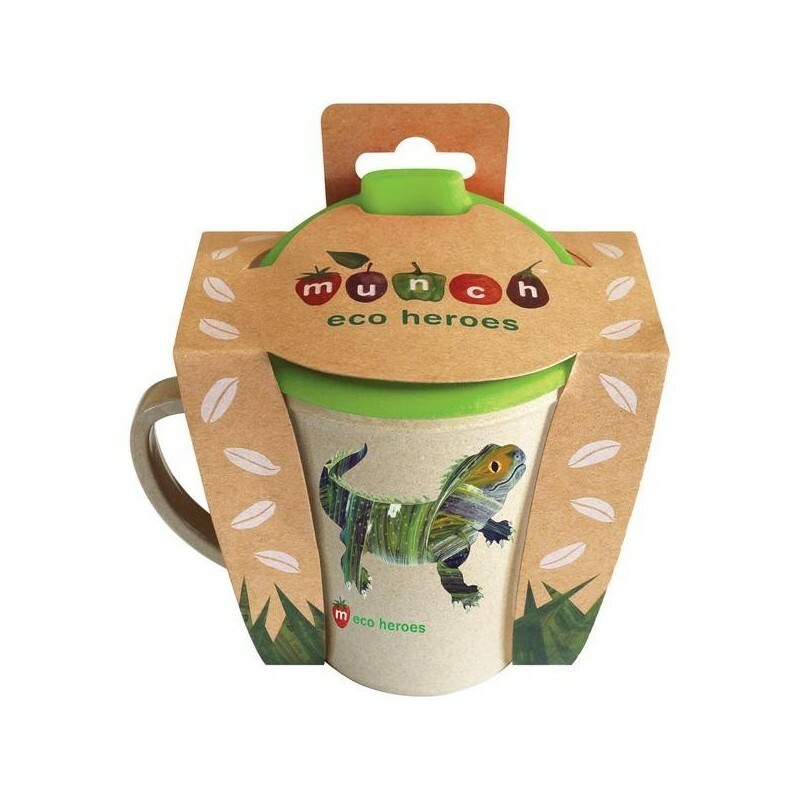 We love this cup for it's ease of use, great size for small hands, and the fact the soft sippy part can be used or removed to give a regular toddler cup. The material is durable and has survived many falls (without causing harm to cup or toddler), the shine can reduce a bit over time but there's no other change and it can still be cleaned in the dishwasher.